The growing number of tool apps on the market means that smartphone-equipped DIYers now have a diminishing number of excuses to use for putting off projects. The number of tool apps on the market leaves smartphone-equipped DIYers with few excuses for putting off projects. Since the variety of digital tools may seem overwhelming, and of course not all tool apps are created equal, we’ve highlighted six selections for the iPhone that you should know about. After Angry Birds, no other app is so obviously named. 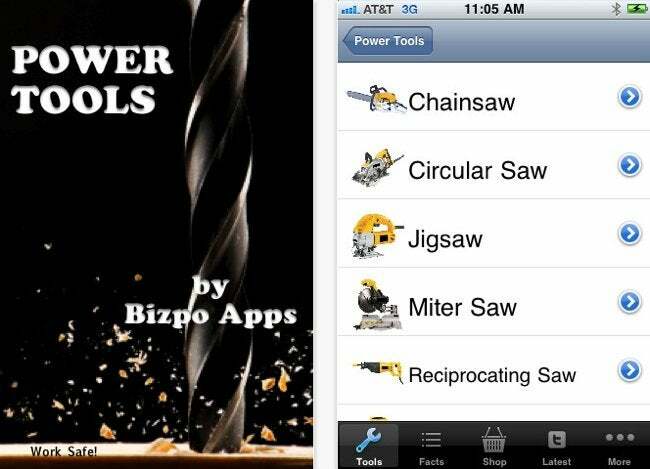 Power Tools is a concise explanation of six popular power tools: circular saw, jigsaw, miter saw, reciprocating saw and router. You learn the most likely uses for each one, common designs, and innovative new features. Power Tools is a basic tip sheet for consumers deciding on purchases and rentals. Interestingly, it includes recordings of what each tool sounds like. Good for identifying what your neighbor’s using at 6 a.m. This tool app is billed as a virtual laser level, which might lead some to believe that it will actually produce a laser line on walls. That’s not the case, of course. Apple hasn’t put lasers in iPhones or iPads—yet. 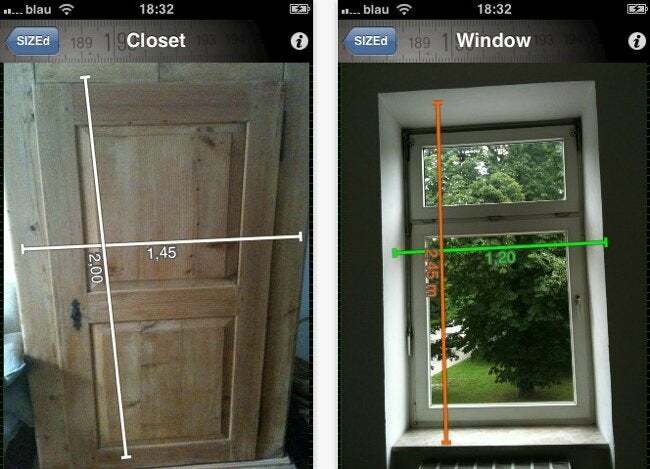 But sightLevel is perfectly serviceable and uses the phone’s camera and accelerometer to determine angles and slopes. Choose different grids and guides for images shown on the screen, or use two fingers to find the slope of something within the image. This is a dead-simple tool app that might seem superfluous at first. What it does is join the two most important factors at play in purchasing materials for your home: dimensions and context. Use SIZEd to take a picture of, say, your living room. Then use your fingers to draw lines signifying the window dimensions (for drapes) or the big empty spot where you would like a couch. Standing in a home furnishing store, you can more accurately anticipate how a piece of furniture will fit, and blend with, the room. Here’s another tool app. This one estimates the cost of building more than a dozen styles of fences. 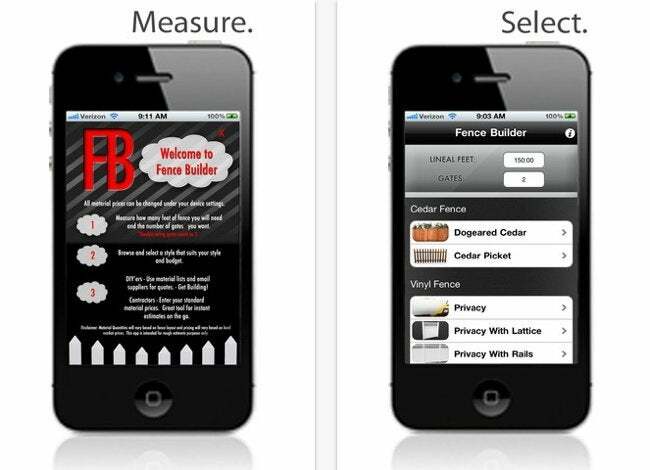 At its heart, Fence Builder is a robust materials calculator, telling you how much wood, concrete, and hardware you’ll need. Want to surround South Dakota with a dog-eared cedar fence with one gate? You’ll need 14 million planks, 780,000 posts, 1.6 million boards, 62 million nails, two hinges and one latch. Fence Builder estimates that it would cost $90 million to let South Dakotans have their privacy, but—and this is a big “but”—the app uses estimated average materials pricing. Your cost may vary, indeed. This tool app seems custom-made for tablets. 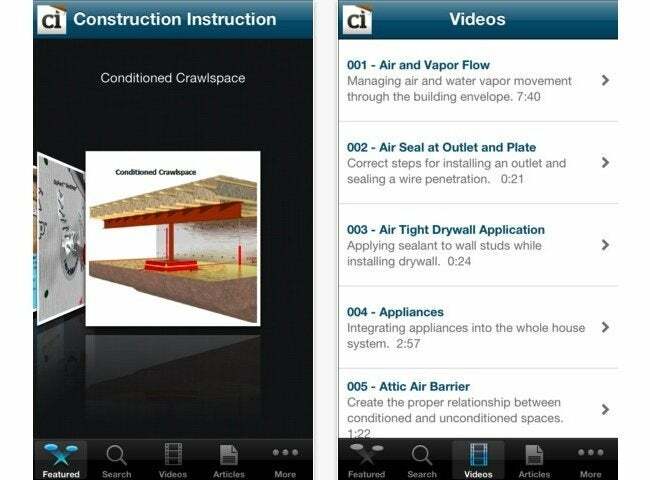 There are in-depth articles, vendor manuals, photos, schematics, animations and no-nonsense instructional videos. It’s easy to imagine using Construction Instruction—a combination textbook, cheat sheet, and clipboard—not only to plan and build your own home, but also to examine a contractor’s work on the fly. Overall, Construction Instruction is like walking through an in-progress building. You can see potential, but it’s not ready for a certificate of occupancy. Where there is content, it’s crunchy with useful, often technical info. But there are a lot of blank pages and obvious topical gaps. It’s also too easy to lose track of where you are within the app. And most of the textual content is displayed on PDF pages, which are difficult to navigate on small screens. Download this one and hope for frequent updates.